“Rules on the Run” are principles of trail running etiquette that foster environmentally-sound and socially-responsible trail running. These principles emulate the well-established principles of Leave No Trace, and Rules of the Trail by the IMBA. 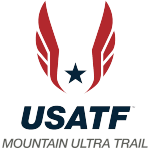 The American Trail Running Association believes that by educating trail runners to observe “Rules on the Run,” trail runners will be able to enjoy continued access to their favorite trails and trail running competitions. Run single file in the middle of a trail, even when laden with a fresh blanket of snow or muddy. Go through puddles and not around them. Running around mud, rocks, or downed tree limbs widens trails, impacts vegetation, and causes further and unnecessary erosion. Use caution when going over obstacles, but challenge yourself by staying in the middle of the trail. If the terrain is exceedingly muddy, refrain from running on the trails so that you don’t create damaging “potholes” in the surface. Moisture is the chief factor that determines how traffic (from any user group) affects a trail. For some soil types, a 100-pound runner can wreak havoc on a trail surface in extremely wet conditions. In dry conditions the same trail might easily withstand a 1,200-pound horse/rider combination. There are many situational factors to consider when making your trail running decision. Trails that have been constructed with rock work, or those with soils that drain quickly, may hold up to wet conditions – even a downpour. But, in general, if the trail is wet enough to become muddy and hold puddles ALL user groups should avoid it until the moisture has drained. Pack out at least as much as you pack in. Gel wrappers with their little torn-off tops, and old water bottles don’t have a place on the trail. Consider wearing apparel with pockets that zip or a hydration pack that has a place to secure litter you find on the trail. Learn and use minimum impact techniques to dispose of human waste. Split larger groups into smaller groups. Larger groups can be very intimidating to hikers and have a greater environmental impact on trails. Most trail systems, parks, and wilderness areas have limits on group size. Familiarize yourself with the controlling policy and honor it. Know the area you plan to run in and let at least one other person know where you are planning to run and when you expect to return. Run with a buddy if possible. Take a map with you in unfamiliar areas. Be prepared for the weather and conditions prevailing when you start your run and plan for the worst, given the likely duration of your run. Carry plenty of water, electrolyte replacement drink, or snacks for longer runs. Rescue efforts can be treacherous in remote areas. ATRA does not advise the use of headphones or iPods. The wearer typically hears nothing around them to include approaching wildlife, and other humans. The most important safety aspect is to know and respect your limits. Report unusually dangerous, unsafe, or damaging conditions and activities to the proper authorities. Preparing for the race and selecting a course A few runners simply running on a trail normally have limited negative impacts. All the associated happenings of a trail race “event” add up and contribute to the total impact. 1. Involve the community. Make sure that you secure all permits, permissions, and insurance. Cooperation from government officials (which may include parks departments, USDA Forest Service, etc.) is a must. Be mindful of potential trail conflicts with other users which may include hikers, bikers, equestrians, or hunters. Let other public trail and area users know of your event in advance by using the media, postings at trailheads, etc., so that they have a chance to avoid the area during your race and are not surprised by the presence of runners on race day. 2. Select a race course that uses officially designated open public trails. Trail runners may want to test the course before and after the event. Using existing trails has another benefit: the trail bed should be well-established, durable and firm. If you are using private trails or going through areas that are normally off limits, let runners know this in advance and strongly discourage them from using the route except on race day. Encourage your race participants to familiarize themselves with the race route only as much as is minimally necessary. Many popular race trails get “loved to death” during training by runners. 3. If existing trails don’t offer the mileage or distance you would like to have as part of your course, or the type of elevation gains or losses you need, adjust your race distance to accommodate what already exists. ATRA suggests you always use existing trails rather than creating social trails, or detours. 4. Think about spectator, crew, and media movement around the course. This can often cause more damage than actual racing. Post signs to direct spectators to other course sections via established paths. 5. Limit the total number of participants allowed in your event in advance. Do not be greedy and blindly accept the number of entrants you might get. Work with land managing agencies to set a number that you, your staff, and the surrounding environment, trails, and facilities can safely accommodate with limited impact. Strive for quality of runner experience first and quantity of runners later only if increased numbers can be accepted comfortably. 6. Consider encouraging car pooling to your race by allocating preferential parking areas to vehicles with three or more runners, giving cash “gas money” incentives to those runners that car pool, etc. 7. Realize that most people visiting a natural area where your trail race probably will be held are visiting that area primarily to experience natural sights, sounds, and smells. Most trail race participants value these experiences also. Carefully consider how any “additions” to your event will impact and modify the natural experience for your race participants and others. Do you really need amplified music at the start, finish, and aid stations? Will everyone appreciate cheering spectators? Are banners and mileage markers necessary? Can one course official silently standing at an intersection pointing the way take the place of numerous flagging and ground markings? 8. Consider the timing of your event so as not to conflict with other trail and area users during already heavily used time periods. Scheduling your event in the off season may avoid potential conflicts. 9. Plan and position your aid stations to minimize conflicts with other users and to avoid environmental impacts. Locate them in areas where access is easy, durable or previously disturbed surfaces already exist, and away from areas favored by other users (campgrounds, fishing spots, picnic areas, etc). 10. Plan your start/finish area with care. Is there adequate parking? Will heavy concentrated use damage the vegetation or land? Do restrooms already exist or can they be brought in and removed easily? Is there a wide enough trail (or better yet a road) which the first part of the race can start on to allow the field to spread out and pass before runners separate themselves enough to allow safe use of a single track trail? 11. If trail or start/finish/aid area conditions can not accommodate your race without environmental damage (due to mud, high water, downed trees etc.) consider canceling, rescheduling, or having an alternative route in place for your event. 12. Encourage electronic registration, post your event entry forms online instead of printing and distributing thousands, or at least print entry forms on recycled paper. 1. Mark the course with eco-friendly markings. These markings may include flour or cake mix (Devil’s Food is great for courses run on snow), colored construction marking tape, paper plates hung on trees with directional arrows, flagging. Remove all markings immediately following the race, but be sure your markers are still in place at race time so runners do not go off course. 2.Provide a large course map at the start/registration area so runners can familiarize themselves with the trail. 3. Don’t allow participants to run with their dogs on the course. Again, this is a safety issue for other participants and for the dogs. Dogs also have been known to tow runners to an unfair advantage in a race. 4. Use the race as an opportunity to educate runners and spectators about responsible trail running. Include information about responsible training and volunteerism in each racer’s entry packet and if you have a race announcer, provide him or her with a variety of short public messages that talk about responsible use of trails, joining a trail running club, and volunteering to maintain trails. 5. Encourage local trail advocacy organizations to share their information with the public at your event. If the race includes a product expo, allow local advocacy groups to exhibit without charge. 6. Greening the Event: Provide adequate portable toilets, drinking water, and trash receptacles. Let runners know where these will be located in advance. Recycle all cans, bottles, paper, and glass. Consider recyclable materials for awards and organic T-shirts for participants. Event organizers and all participants will benefit if they are seen as being at the forefront of energy and materials conservation. As a participant, carry a water bottle and refill at the aid station so you are not using extra cups. As a race director, consider requiring participants to start the race with their own fluid and food in a container (water bottle or pack) so as to eliminate the need for cups along the trail. Pack out your gel wrappers and trash. You as the participant should be responsible for your trash. 7. Limit spectator and crew access to points along the course that can safely accommodate them and their vehicles without damage. Consider prohibiting all spectator and crew access to the trial to preserve the trail experience for the participants and limit impacts. 8. Promote local recreational trail running by making sure that maps, guidebooks, and brochures are available at the race. Involve local school children in the event in a kids run if you have the resources. 9. 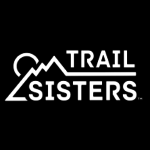 Stop to help others in need: even while racing, and sacrifice your own event to aid other trail users that might be in trouble. 10. ATRA suggests that participants refrain from using iPods/headphones in races. This is foremost a safety issue. Many running insurance providers do not permit use of these devices. 11. When you have two-way traffic, slower runners yield to faster runners, and on ascent/descents, the uphill runner should yield to the downhill runner. 12. Try to be patient when you are part of a conga line on crowded racing trails. Instead of creating social trails by passing a runner above or below the marked trail, yell out, “Trail – to your left or to your right.” If you are the slower runner, stop and step aside to make it easier for the faster runner to overtake you. 13. ATRA does not condone bandit runners. Not only are bandits a serious safety and liability concern for the race director, often times there are limits in races set forth by a permit. Bandits can jeopardize the issuance of future permits. 14. Require runners to follow all race rules, including staying on the designated marked route, packing out everything they started the race with, not having crew/pacers/spectators on the route, etc. Send a strong statement by disqualifying those runners that do not follow the rules. 1. Do a thorough job of cleaning the start-finish area, parking lots, and repairing and restoring the trails used for the event. Leave the trails in better shape than they were in prior to the race. Document your restoration work with photos. 2. 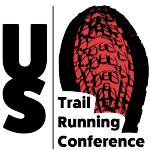 If your event has been financially successful, make a contribution to your local trail running advocacy group and if possible to ATRA, too. When you do this, send press releases announcing your donations. This will enhance your image in the local community. 3. Get a capable runner to run sweep of your entire race route as soon as possible after the event. They can pick up trash, course markings, note any trail damage that needs to be mitigated, gauge reaction from other trail users they encounter, as well as act as a safety net. This runner should carry a pack, cell phone, first aid kit, etc.